When Panther Robe kicked off The Synaptic 4th Birthday Party back in June, the 30 minute slot they were given just didn’t give them justice. “30 minutes gets us warmed up!” remarked bassist Chad DeAtley. DeAtley, along with fellow members Quincy Holloway, Clay Stinnett, Chris Plavidal, Sean French, Colin Arnold, and Chad Walls used those 30 minutes certainly turned some heads with their dual drumming, hypnotic grooves and left field take on instrumental dub and experimental music. So, we at The Synaptic wondered, what would happen if we just let them loose to do whatever they liked and meander a bit? And that’s what they’re going to do! Along with like-minded duo Wire Nest – comprised of Sub Oslo members John Nuckels and Frank Cervantez, The Grotto will be transformed into an experimental wonderland, providing the perfect backdrop to polish off Fort Worth’s Gallery Night. Although both acts have only played handfuls of shows each, these veterans of the D/d/FW scene know how to bring it. Do not make the mistake of missing this first ever pairing of 2 of the area’s more thoughtful instrumental artists. You will kick yourself if you do! 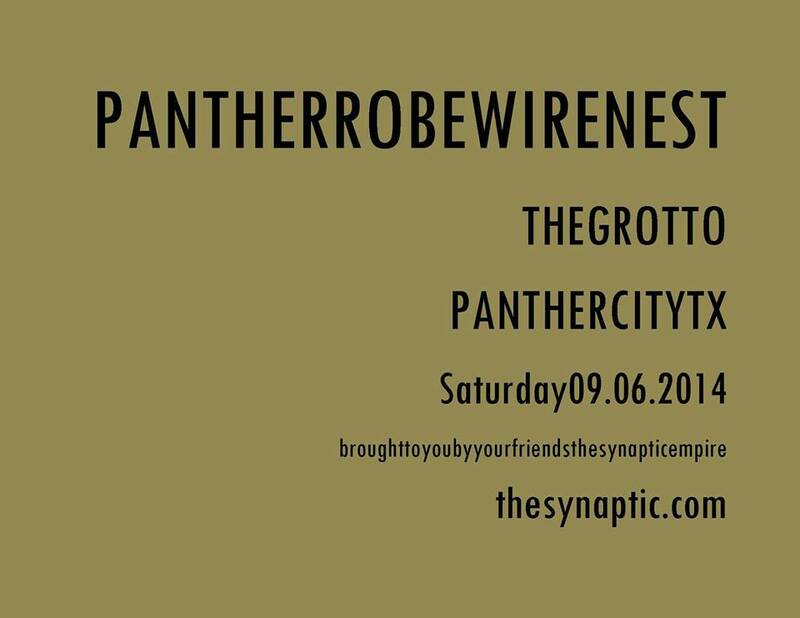 Panther Robe and Wire Nest co-headline Sat, 9/6/2014 at The Grotto in Fort Worth. 10:00 PM, Tickets $7.00 at the door. ~ by thesynaptic on September 5, 2014.